Today is my last day of being 24 years old. I'm leaving my early twenties tomorrow and heading straight through into my mid-twenties. I almost don't even want to admit how scared I really am because it sounds silly, but I've been in the middle of a quarter-life crisis since I was 20 years old and now that that term is actually real, it makes all my worries real too. I have a post planned for tomorrow, dedicated to the things I learned in 25 years... whether I have 25 things or not on the list is yet to be determined but cross your fingers! Before that post, I wanted to do a little giveaway post. It's been a hot minute since I've done a giveaway and I figured what better way to celebrate my birthday than by giving someone who reads my blog and makes this possible, something? Now, this giveaway is by no means big but there is a little meaning behind it. This weekend, my mom was talking about me and my personality and she described me as 'whimsical' -- she also said I was very easy to make fun of but that's beside the point. I never thought I was 'weird' but when I got into college, a few of my friends described me as weird or nerdy, in the most loving way possible. When I started thinking about it, it's kind of true. It's hard to put into words but some things that I buy or do are just not what people in my life do, and maybe that's because I've been exposed to the blog world for so long and that's how I chose to live... as if I'm living life out to be written about. 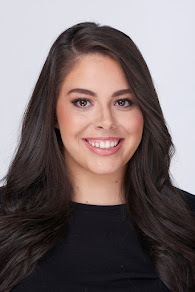 I mean, no other 25-year-old girl in my life is decorating her room for each holiday and printing out new pictures to hang on her wall to go with a theme. No one else in my life insists on having Kate Spade headphones because they're cute or ordering a cell phone stand from Amazon just because it's cute and makes life a little easier. I am whimsical and that is the best way to describe me and I'm really embracing it. Mind you, I never shied away from being who I am... I just didn't realize that there was a word for it. 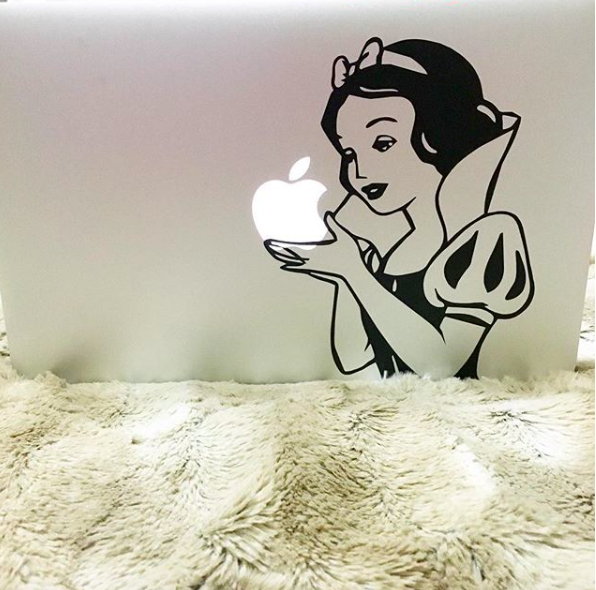 My giveaway winner will win a Snow White Macbook decal, just like the one I have on my Macbook. No one else I know has this or would think of putting it on their computer because it's just not them, ya know? This sums me up perfectly though: technology, Disney, and all things fun and cute. What better way to celebrate my birthday? Also, whoever wins will get a few makeup and skincare goodies from me! The giveaway lasts one week and you can enter below! Thank you all for reading, commenting, and following along with me. I started this blog when I was 20 years old and it's been a great 5 years with all of you. Here's to 5 more!